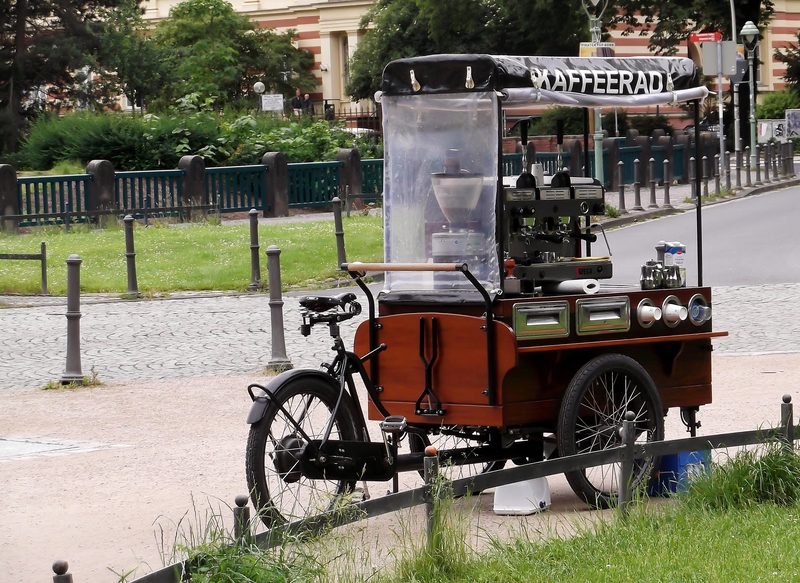 The label says ‘Kaffeerad’, which means Coffee Bike in German. Seen yesterday in front of the Poppelsdorf Castle in Bonn, Germany. Oh, now that would come in handy! Love the idea of having a coffee machine following me everywhere. Can you send it over here?